As a mother of three, I was pretty sure I was abreast of the advancements in Parkland daycare facilities. Having already had my first two children graduate from daycare 5years ago, things could not change so drastically, could it? When I began looking at enrolling my youngest in a Parkland daycare I was astounded to discover Parkland Children’s Academy. It really takes something quite special to convince me that there is a daycare out there that can match the attention and security I provide my children with. Parkland Children’s Academy certainly proved their standing amongst the ranks of top Parkland daycare centers. Browsing through their website, I hate to say it, I was at first a little skeptical that I had found what seemed to be a Parkland daycare after my own heart. I instantly made an appointment to visit the academy with my youngest. What I discovered was an absolute jewel of a daycare! Not only is there a strong emphasis on security (the only way to gain entrance to the daycare is through touch screen and fingerprinting and you can actually keep and eye on your child from your home or office using the daycare webcam) it is the style of education that really stood out for me. One such example is the smartboard. This screen is used to provide a new Interactive learning approach where children are exposed to age-appropriate activities to expand on the learning standards introduced in the classroom. 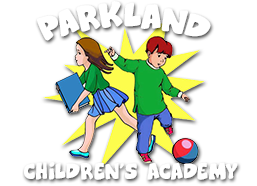 Considering that our children are at a critical learning stage when they attend daycare, the age appropriate, hands on curriculum Parkland Children’s Academy provides ensures that my child will be getting the best possible start in their academic career. The fact that the daycare implements ongoing assessments to monitor each child’s interests, needs and progress, made me realize that my child will be receiving the individual attention he deserves. This kind of attention will allow him to gain confidence and develop into the unique little person he is. While I could continue going on about this daycare forever, what ultimately matters is how my child has embraced his new environment. Seeing the smile on my child’s face every morning as he runs into his classroom to meet his teacher and friends is proof enough for me that I truly made the right choice with Parkland Children’s Academy – a daycare both my child and I simply love.